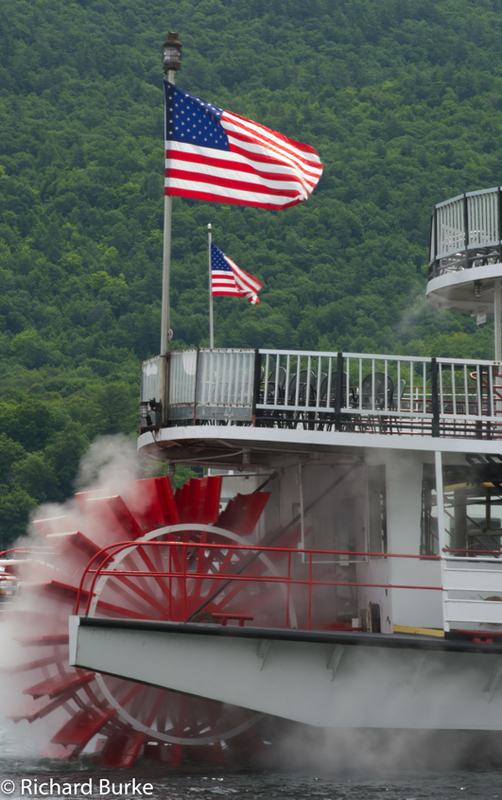 I have always been fascinated by paddlewheel boats. Maybe because I grew up in Pittsburgh or maybe because I met my soulmate on the Gateway Party Liner. In any case I find them fascinating to watch. 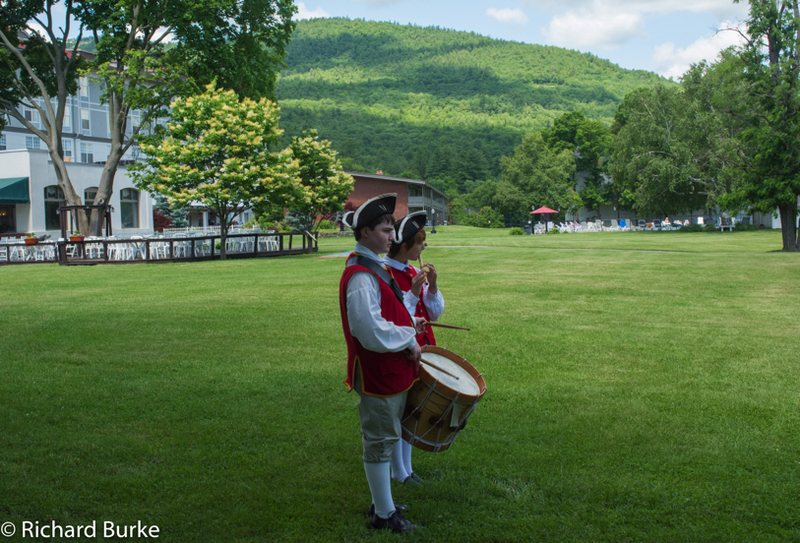 These photos are of the Mini-Ha-Ha on Lake George New York. 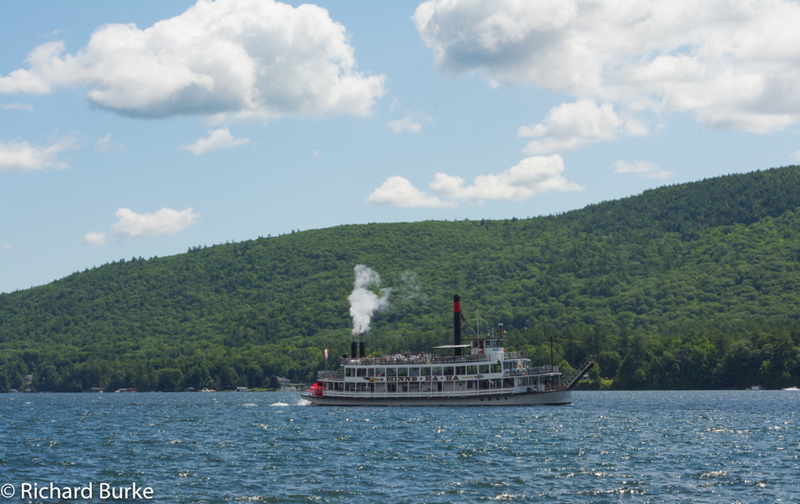 The only paddle-wheeler on Lake George is the Mini-Ha-Ha. It is also the loudest. 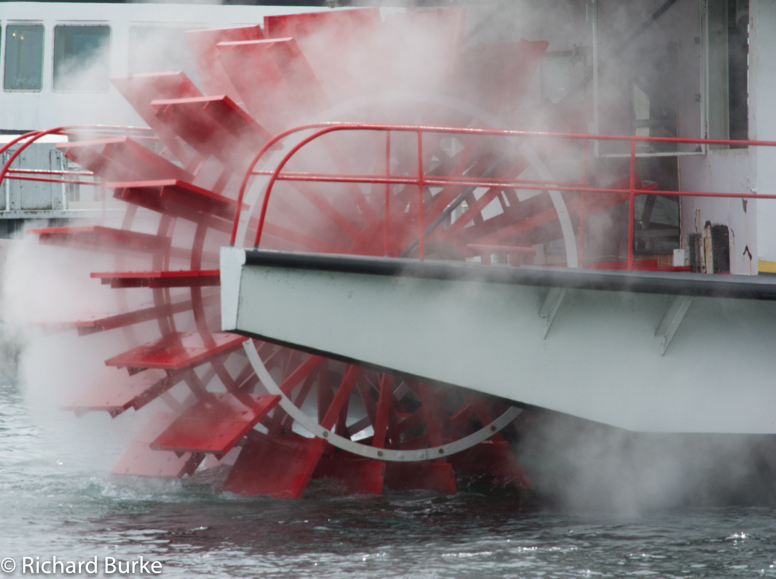 It’s steam horn is enough to make you jump and when it is docked it plays loud and mostly awful calliope music. It is much prettier when it is out of port in the middle of the lake and the dock area much quieter. Jungle Drums above a popular cenote near Cancun Mexico. 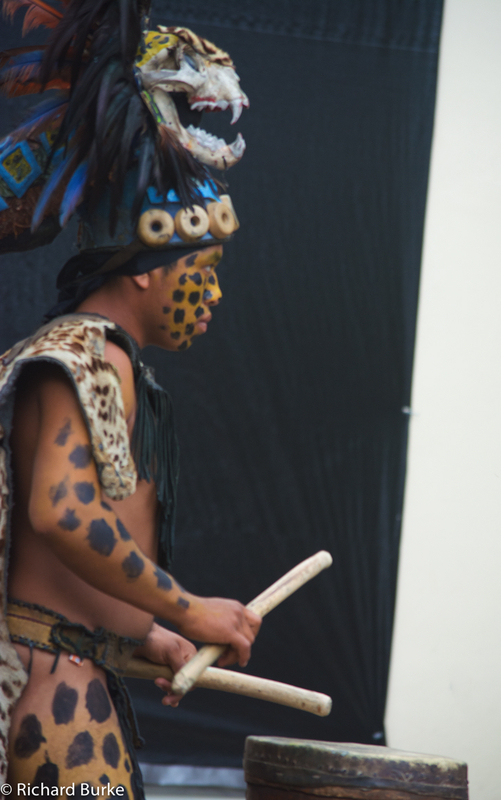 The young leopard drummer was one of three dancing and entertaining as the more fearless visitors walked down hundreds of stairs to swim in the denote and the rest of the more sane people watched the musical performance.